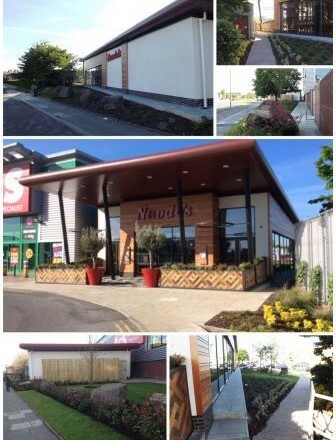 New build restaurant unit constructed within a live retail park consisting of a steel frame structure along with a standing seam roof finish, the perimeter walls were clad in a combination of rendering and timber cladding. Prior to constructing the new restaurant unit we had to demolish the existing management suite and co-ordinate the delivery and installation of the new management suite office. The entirety of the works were implemented in a live environment, ensuring minimal disruption to the retail park.